The American Psycho team is reuniting in the service of true crime. 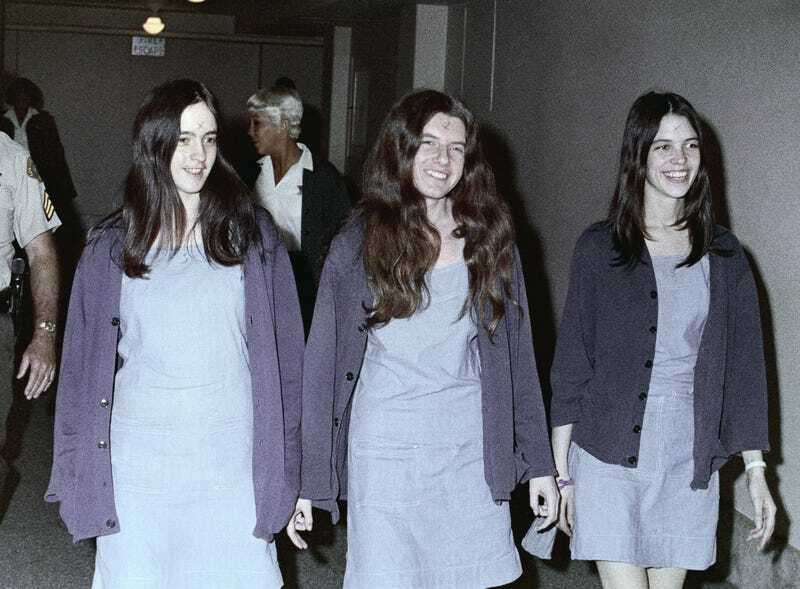 Director Mary Harron and writer Guinevere Turner are making Charles Manson tale The Family, which will focus on the three young women who participated in the infamous 1969 cult murders. Initially given the death penalty for their involvement in the crimes, during which nine people were murdered including actress Sharon Tate, their sentences were ultimately commuted to life imprisonment. The film is a procedural that will focus on [graduate student Karlene Faith’s] time attempting to teach the three women, and on their personal transformations as they slowly grasp the reality of their crimes. The script by Turner is based on Faith’s nonfiction book The Long Prison Journey of Leslie van Houten: Life Beyond the Cult, and on Ed Sanders’ controversial 1971 novel about the Manson Family murders, The Family, from which the film gets its title. Casting is underway (presumably, actors must be willing to shave their heads), with filming to begin this summer in Los Angeles.